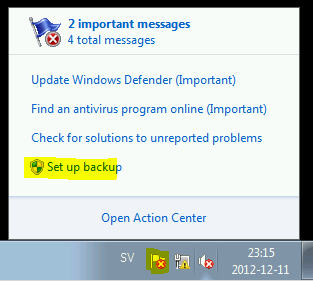 Have you ever seen in Windows that Action Center complains about you have not Set up backup? 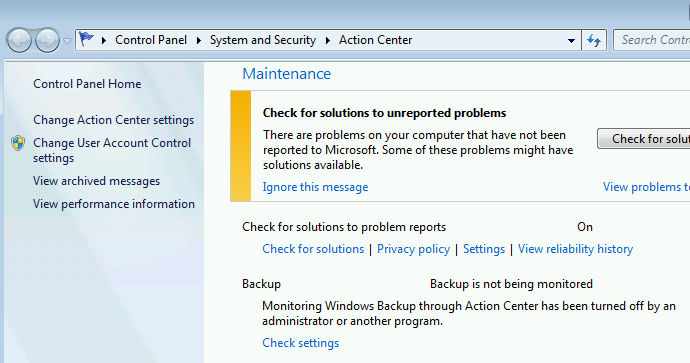 You probably had, and all your users too! 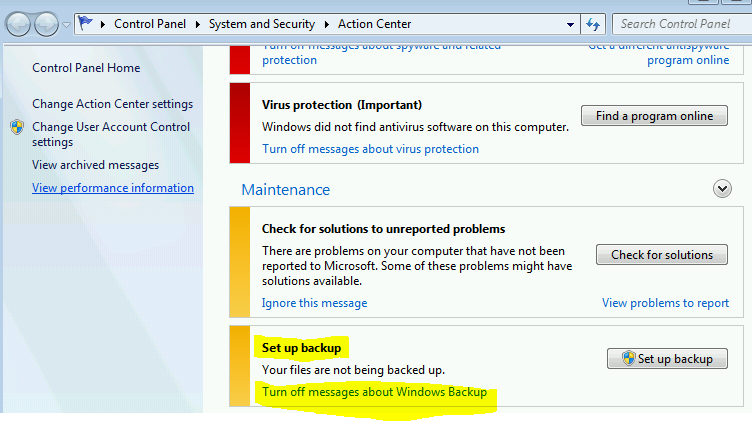 So in an enterprise environment how do we “Turn off message about Windows Backup” in Action Center? Hi folks! Helpful resource you have here! If you`re such a tech geek like me you will definitely like that site . I`ve also downloaded some circuits and lot`s of there .